Two Indian Navy officers were among six individuals and organisations selected for The Straits Times Asian of the Year 2018 award by the editors of the Singapore-based daily on Wednesday. This year, the editors chose ‘First Responders’ – the men and women of courage and commitment who stepped up in the moment of greatest need running towards disaster to help. “It is these people, together with the organisations that would arrive later, that The Straits Times would like to honour,” said The Straits Times in a statement. 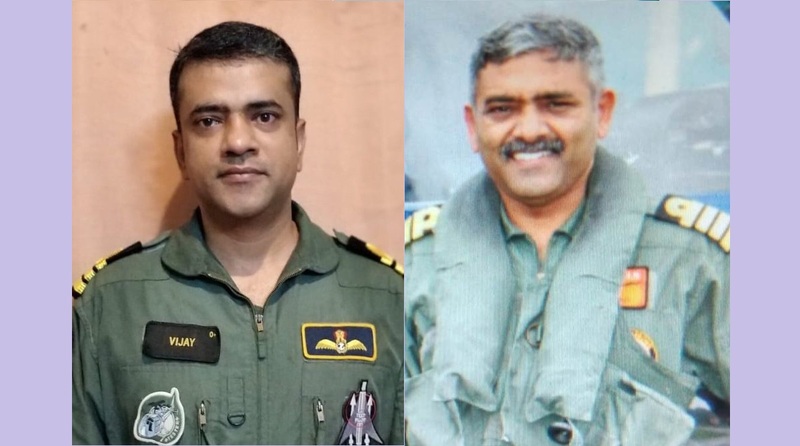 Indian Navy Captain P Rajkumar and Commander Vijay Varma (both pilots) were selected for the prestigious honour for their death-defying rescue operation during the Kerala floods. “Captain P. Rajkumar l, 54, winched 26 people up from a rooftop in Kochi while hovering between trees and other houses just two days after receiving a medal for saving a fisherman last year,” The Straits Times said in praise of the Naval officer whose rescue of a wheelchair-bound pregnant woman with a Sea King helicopter went viral on social media. Indian Navy helicopters undertook multiple sorties including high-risk missions to rescue people from rooftops and isolated land during the floods that devastated and crippled life in the southern state in August this year. The two share the honour with Singaporean paraglider late Ng Kok Choong, individuals involved in the Tham Luang cave rescue in Thailand, Dr Sutopo Purwo Nugroho, Mercy Relief, and Asean Coordinating Centre for Humanitarian Assistance on Disaster Management (AHA Centre). Ng Kok Choong, the only person to be honoured posthumously, was a Singaporean paraglider who helped save lives in the September 28, 2018 earthquake and tsunami in Palu in Indonesia’s Central Sulawesi. The 53-year-old, a former commando, lost his life in October in a paragliding accident in India. Dr Sutopo Purwo Nugroho, who is the spokesman for Indonesia’s National Agency for Disaster Management (BNPB), was recognised for acting as a face to the hundreds of government and military personnel involved in disaster relief efforts in Southeast Asia. Though battling Stage 4 lung cancer, the 49-year-old Sutopo kept his calm during the Sulawesi earthquake and continuously updated local and international media about the situation while tackling fake news. Mercy Relief is a homegrown NGO that has been instrumental in humanitarian assistance in the aftermath of natural disasters. The Asean Coordinating Centre for Humanitarian Assistance on Disaster Management (AHA Centre) for leading the region’s response to the various disasters that have struck South-east Asia this year – especially in the Philippines, Laos and Indonesia. The annual awards are given by The Straits Times to a person, group or an institution that has significantly impacted the Asian continent in the year past. Jeremy Au Yong, Foreign Editor of The Straits Times, said: “In a year where personalities and egos often made the news for the wrong reasons, we could think of no more deserving candidates than the many people who behaved selflessly – for no reward other than simply knowing it was the right thing to do. In its citation The Straits Times said that the First Responders put themselves in harm’s way turning many certain defeats into stalemates, and stalemates into victories. “Your often-lonely soldiering has been society’s good fortune. Asia owes you, your families and the institutions that moulded your lives and personalities,” it added. Now in its seventh year, The Straits Times Asian of the Year award has become an important part of the Asian calendar since 2012. The inaugural award went to then-Myanmar Prime Minister Thein Sein, followed by a joint award for Chinese President Xi Jinping and Japanese Prime Minister Shinzo Abe in 2013, and to India’s Prime Minister Narendra Modi in 2014. In 2015, the award was given posthumously to Lee Kuan Yew. In 2016, five Asian pioneers working in the intersection of technology and commerce were honoured as The Disruptors – the first time the award went to a group. Mr Xi was Asian of the Year in 2017.